If you've been paying attention to the tech rumor mill as of late, you probably know that Amazon has been planning to buff up its Prime subscription service with a musical component. The web retail giant flipped the switch last night, and now Amazon MP3 is Amazon Music. 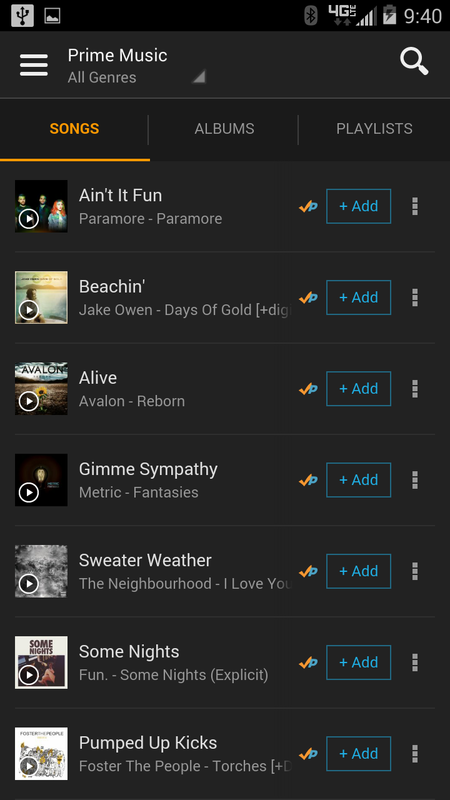 If you already have a subscription to Amazon Prime (which offers free 2-day shipping and access to Netflix-style streaming TV and movies), then you're now subscribed to Prime Music, the service's premium competitor to Spotify and Google Music All Access. 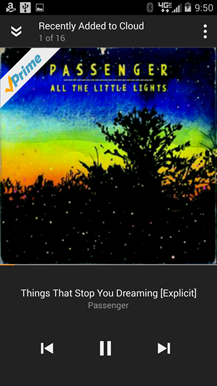 Along with a rebrand of the Amazon MP3 service (which pre-dates Google Music, by the way) the Amazon MP3/Cloud Player app has been replaced. 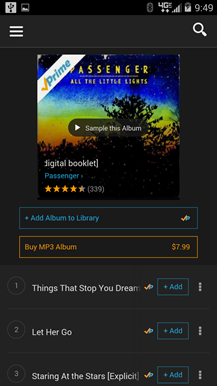 The new app, "Amazon Music - Play & Download," is pretty similar to the old one, except that now a portion of the music that Amazon sells is instantly available for Prime members to stream or download. 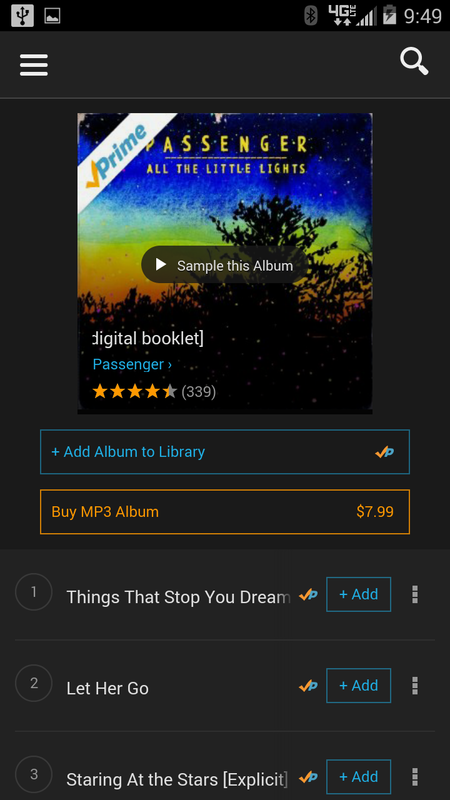 When you log into the app with a Prime-enabled account, some songs and albums will feature a +Add button in place of a price, adding the music to your personal collection. 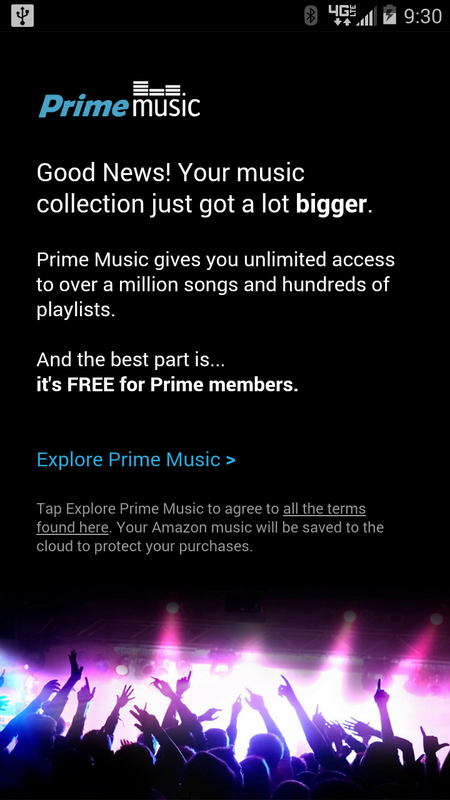 Prime members can stream an unlimited amount of music with no ads, though the selection of subscription songs and albums may be somewhat disappointing. The app itself has been given a small visual refresh, keeping most of the orange-on-black visuals inherited from the Kindle and Amazon Appstore apps. 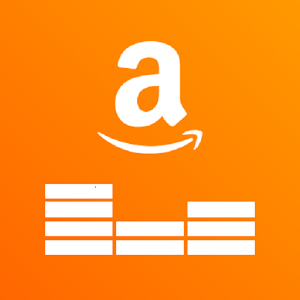 Unfortunately, Amazon's Prime Music only has "over 1 million" songs in its streaming library, compared to "over 20 million" on competing services like Google, Spotify, Beats, and Rdio. A few quick searches of some of my more esoteric favorites reveals very little that can be accessed without paying extra. That comparatively small number of premium music means that Amazon Music Prime is more of a perk for existing Prime users than an actual incentive against its competitors. Prime Music probably won't sell subscriptions on its own, but as yet another feather in Amazon's digital media cap, it's serviceable enough. 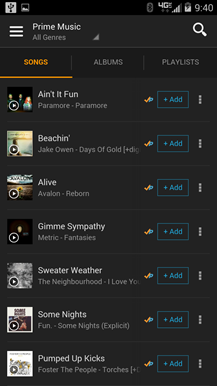 Amazon Music and Prime Music are also available on iOS, all the Kindle Fire devices, and the web. Amazon Prime is $99 a year, and includes access to Amazon Prime Music, Amazon Prime Instant Video, free two-day shipping on a variety of Amazon retail items, and a few other perks. 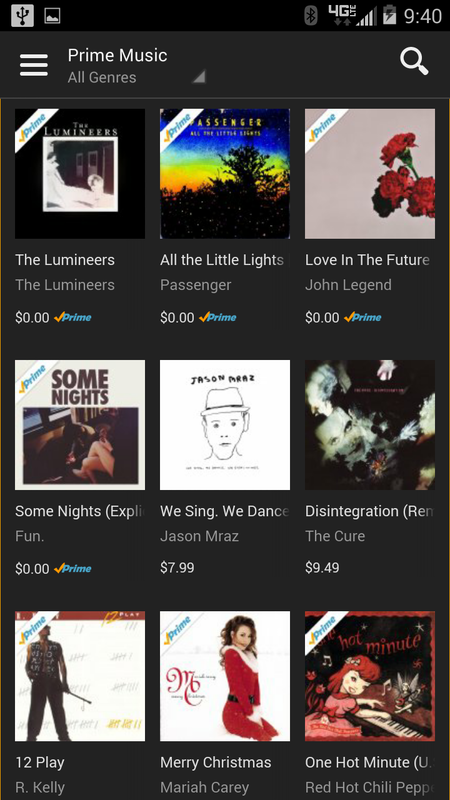 At the moment Amazon Prime Music is available only in the United States.